Chōjūrō (長十郎, Chōjūrō) is a member of Kirigakure's Seven Ninja Swordsmen of the Mist and wields the twin sword: Hiramekarei. Despite his membership in the elite Seven Swordsmen group, he is a shy individual and seems to lack confidence in his abilities. 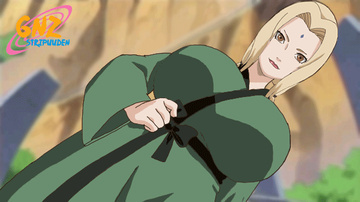 He also admires the Fifth Mizukage greatly, as he commented inwardly on wanting to protect her "beautiful smile". By the time of the Fourth Shinobi World War, Mei has noted that he has become a lot more confident in himself as seen when he cut down Black Zetsu without reservation and then declares to the Fifth that as a member of the Seven Ninja Swordsmen of the Mist, he would guard the area with his life.